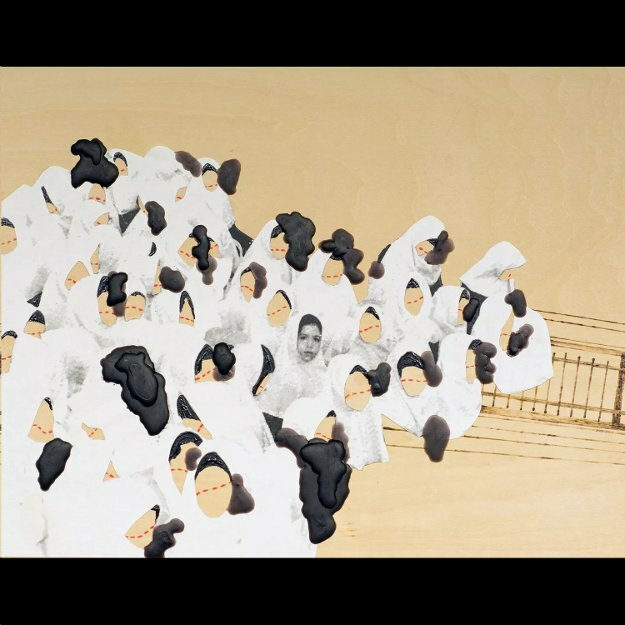 Mojdeh Rezaeipour is an Iranian-American artist and storyteller based in Washington, D.C. 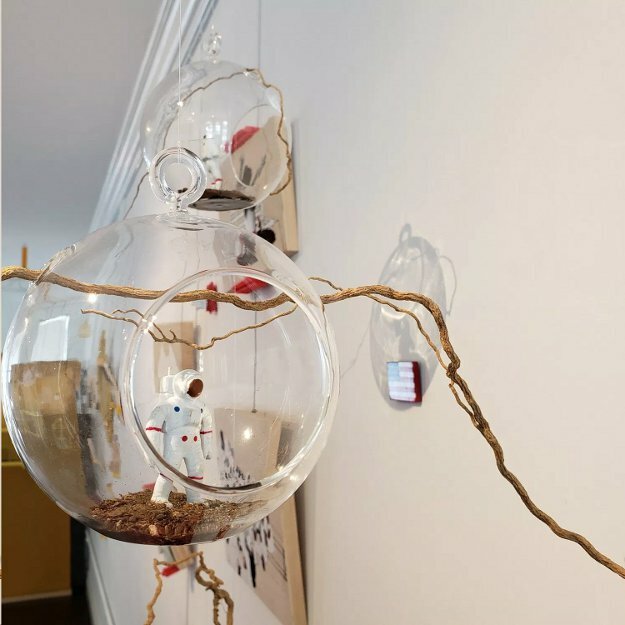 Her organic mixed media works and installations explore hyphenated identity and belonging, as well as the intersections of our collective striving for healing and transformation. After completing her architectural studies at UC Berkeley, Mojdeh’s involvement in art and design has taken her to San Francisco, New York, Rome, Tokyo, and Berlin, where she spent the summer of 2018 on an arts fellowship awarded by The Studio Visit. Her exhibitions locally and internationally have been featured in publications such as The Rib, DIRT, So To Speak, and The Washington Post. Her stories have aired on The Moth Radio Hour on NPR and she also served as The Moth’s Washington DC StorySlam Producer from 2015-2018. 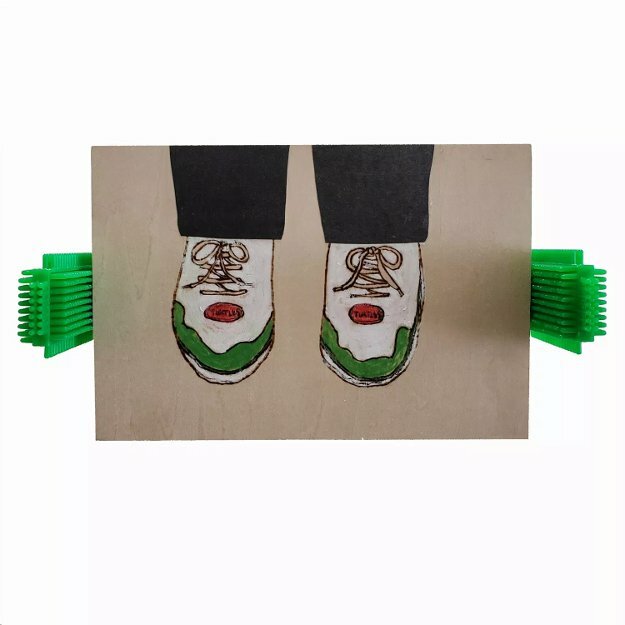 Mojdeh’s work is privately collected worldwide, and several of her works were recently acquired for the permanent collection at Eaton Workshop in Washington, DC. Memories, Dreams, Reclamations (یکی بود یکی نبود), recently exhibited at Gallery 30 South (Pasadena, California), explores the spaces we are called to claim and reclaim between dualities of dark and light, pain and play, trauma and healing. In nonlinear collaboration with her past and future selves, Rezaeipour brings us inside of a semi-autobiographical landscape of learning and adaptation, where she engages in a process of piecing herself back together. 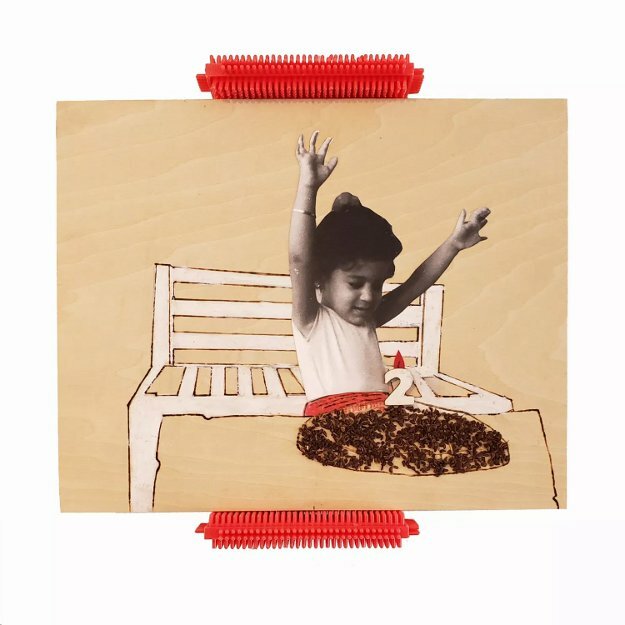 Her organic mixed media self-portraits, assemblages and installations incorporate natural elements and her own body, as well as photographs, early drawings and toys from the artist’s childhood in Iran. Through this playful deconstruction and reconstruction of personal narrative, Rezaeipour exposes a familiar language of individual and collective resilience.